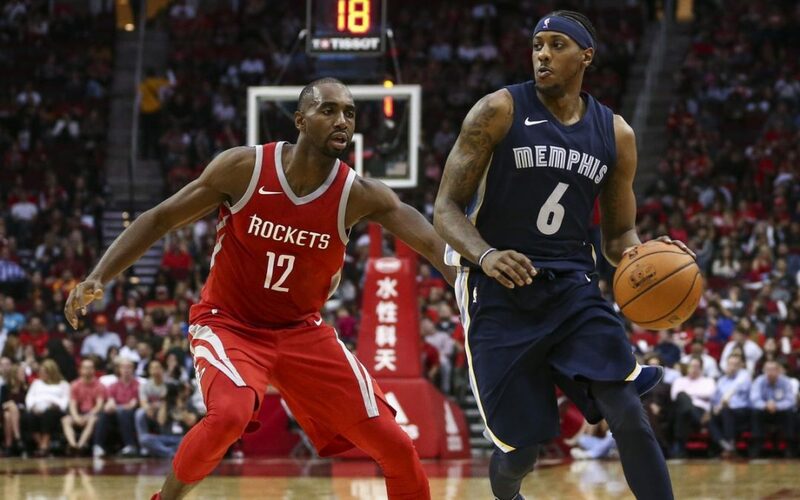 Mario Chalmers of Anchorage is one of the few basketball players to win an NBA championship, an NCAA championship and a state high school championship. Now he’s one of a handful who also can say he’s a published author. 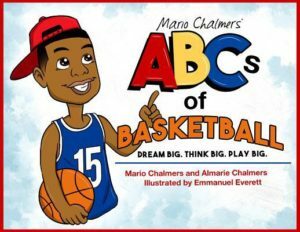 “Mario Chalmers’ ABCs of Basketball” was published last week by Ascend Books of Overland Park, Kansas. It’s a 40-page children’s book that teaches the alphabet while also teaching basketball basics. The book is co-written by Almarie Chalmers, Mario’s mom, and is illustrated by Emmanuel Everett, a 2009 East High graduate who works as an artist in Oklahoma City. It dates back to an English assignment when Chalmers was a junior at Bartlett High during the 2003-04 school year. A teacher asked her students to write something for children, and Chalmers responded with a project that 20 years later became a book. “I just came up with the idea because basketball was something I was very passionate about,” Chalmers, 32, said last week. “I started practicing basketball at the age of 2, and I’m pretty sure I didn’t know my alphabet by then. Almarie Chalmers remembered what her son forgot — the teacher was Dorena Montgomery, she said. As for the final grade, memories diverge. “I thought it was an A-minus,” Almarie said. The book cover of a children’s book by Anchorage basketball star Mario Chalmers. The nuts-and-bolts of the book — the ABCs of it — haven’t changed a lot in the dozen years or so that have passed since Mario turned in his assignment. The book stars a young boy named Li’l Rio, who is modeled after Chalmers. Everett, the illustrator, dressed Li’l Rio in Kansas Jayhawks colors and put a red hat on top of black, curly hair. When Chalmers cut his hair late last season, Everett adjusted. Though the book’s primary intent is to teach kids the ABCs and some basketball fundamentals, it also champions good character traits — A is for attitude, U is for unity. The hardest letters, Mario said, were Q and X. “For Q, at first I had ‘quality hours you put in your practice,” Chalmers said. “I changed it to quarters,” which let him teach young readers that there are four quarters in high school and pro games, but two halves in a college game. Mario’s favorite letter? A top contender is S. “It’s for steals, and that’s one of my biggest roles,” he said. When he wrote the first version of his book, Chalmers was already a two-time Alaska state basketball champion. By the time he graduated from Bartlett, he was a three-time Alaska Player of the Year, and his career was just warming up. A point guard with a good outside shooting touch, Chalmers made the cover of Sports Illustrated in 2008 for his game-tying 3-pointer for the Kansas Jayhawks in the NCAA national championship game. In 2012 and 2013, he won NBA titles as the starting point guard for the Miami Heat. Chalmers, 32, played for the Memphis Grizzlies last season and is a free agent this summer. Signing a new contract is his top priority this summer, but he’ll also find time for book signings and readings, mostly in Kansas. He said he hopes to come to Anchorage — to pitch his book and see old friends — next summer. Chalmers is the father of two children — his son, Zachiah, is 10 and his daughter, Queen, is 8 — and said that when Zachiah was born, he started thinking more about turning his school assignment into a book. But the idea remained shelved until a couple of years ago. Things started moving quickly last year when Almarie Chalmers took the idea to Ascend Books publisher Bob Snodgrass, who saw its potential. Everett was on board by then, as was Mario’s whole family — Ronnie Chalmers, Mario’s dad and the former Bartlett High coach, offered advice from a coach’s perspective. “Sometimes he wanted to get so technical (I had to say), excuse me, it is a children’s book not a coaches manual,” Almarie said. But Ronnie had some valuable input, like the time when he noticed that the illustration for man-to-man defense had one of the low-post defenders facing the wrong way. Everett, who was in grade school when he started following Mario’s career at Bartlett, got involved because his family and the Chalmers have a mutual friend. And so on the page where Li’l Rio talks about setting goals, the illustration is populated by kids talking about winning the big trophy — “except that one kid who is thinking about pizza,” Everett said. The book can be ordered on amazon.com, and the Chalmers are hopeful it will be sold at Barnes & Noble. Snodgrass said the official launch date is July 20, with an ebook planned for an Oct. 1 release. Almarie Chalmers said she hopes to use the book as part of a #readwithrio literacy campaign. As for Mario Chalmers, he’s happy to have a finished product.